>1/29: Log Cleared for Spring 2016 Semester! **Note that currency should be typed as: coal, redstone, iron, quartz, lapis, gold, diamond. **Only deposited materials may be withdrawn - if a material cannot be withdrawn the bank is out and it must be mined. 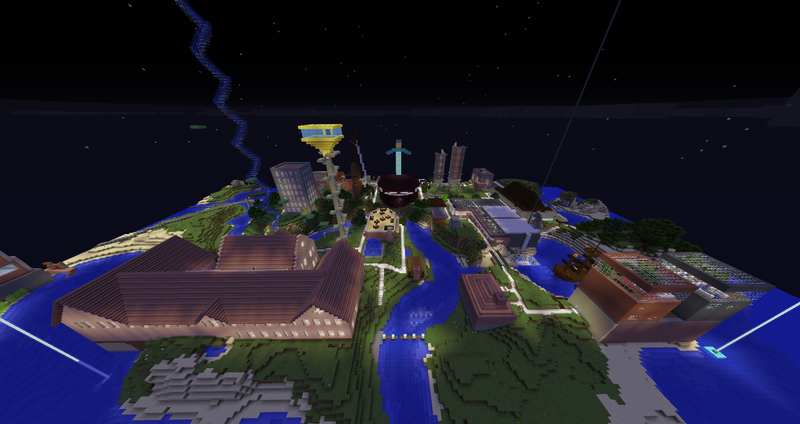 In the server's spawn town, there is a marketplace where items can be bought and sold. The market resembles a farmers market and the marketplace interface is located under an orange tent. The marketplace interface is a stone button next to a designating sign. Further 'how-to' instructions reside on signs to the right of the activating button. The Eco-mine-ist is a spreadsheet reference for the relative value/suggested value of various in game items based on server base currencies, natural occurrence, or game-play. The Eco-mine-ist also has a Land Value Calculator that helps you assess the cost of buying land protection.